Online interaction makes it less embarrassing to talk about the infection and its symptoms. It makes it easier to exchange pictures of herpes, which you could never show to someone face to face. Knowing that everyone else on the platform has the STD encourages you to open up on the disease. When you become a member to such sites, you get to share ideas and experiences. Thus you increase your skills on how to handle the herpes outbreak. Moreover, when you have a personal problem regarding the infection, you can reach out to a customer line for professional help without revealing your identity. The platform hosts thousands of individuals. Using the different search features, you are able to find a matching partner despite your health status. 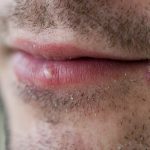 The search can be on the basis of those with cold sores, genital infections, age location, and gender. The STD can thwart an individual’s hope in life. But when you join the dating sites, the success stories of other individuals revitalize your energy to fight back the infection. Thus it inspires hope and presents practical tips on living with the disease. Herpes positive singles website was launched in 2001. Since then it has taken the lead in one of the best herpes dating sites to form our top pick. As the suites name suggests, it brings together positive singles with interests in dating, making friends and sharing inspirational experiences. It gives members a chance to belong to a community with those of similar fates. One’s health status concerning STDs is a private matter. The platform allows members to remain secretive about their sexual history. Overall it consists of about 15000 daily active members with over 120 conversations exchanged each day. Most members come from USA, Australia, Canada, and the UK. It presents an easy to use interface. Since it focuses on people living with herpes, it provides forums, chat rooms, and blogs. Through such avenues individuals can hookup, share information, experiences and ideas on how to live with the disease. In addition, a live professional customer support is available on 24/7 basis for assistance. To screen out fake members, a new user has to verify his or her photo, age, and income. Thus a fax or email contact is required. The herpes dating site is accessible from mobile phones. To access the full features on the platform, one has to be a premium member. However the profile verification may take up to 24 hours and in addition it has an expensive membership fee. MPWH, stands for, meet people with herpes. It therefore exclusively welcomes individuals living with herpes. It offers friendly welcoming site to the victims where they can exchange ideas and personal testimonies on how to live with the disease. The website boasts a wide membership base next to positive singles. It claims to have 15000 daily users with over 300 success stories. 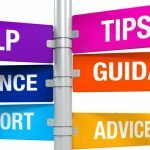 With over 500 blog articles, it’s rich in helpful tips for living and managing the virus. It presents an easy sign-up and navigation procedure for users. New members have to verify their claimed identity. Values user’s privacy and thus leaves members to decide on how much or less about their personal data to reveal to the public. Only upon your consent does the site publicize your private information. Furthermore, it gives you the right to decide who views your profile. A professional customer line is available on 24hrs/7 day’s basis. The support team has even put in place an inner support email contact. Exchange of information and contacting other members on the platform can be through greeting cards, flirts, winks, and emails. At the same time creating friends circle allows you to track your friend’s activities. 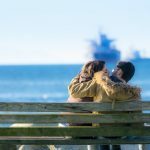 The website gives STD infected individuals a chance of getting love and happiness through the online connection. It attracts and puts together those suffering from STDs. Thus by bringing together people with common ties, it rekindles hope and love in their life once more. The design of STD friends’ website functions more or less like the social media network Facebook. If you identify another member who interests you, then to make a connection with him you send a friend request. To new users who wish to know more about the STD friends’ website, they have put in place the FAQ section. The members enjoy a wealth of information about herpes and other STDs. For example, the platform gives you the location of a nearby testing facility and how to manage the STD symptoms. However, one has to be careful when browsing through the site there are non-genuine members out to cone you of your cash. Herpes passion provides free registration for anyone infected with HSV1 or HSV2. By sharing the experience with others and borrowing from those who have made it through, you again rekindle excitement in life. It provides a wide range of interactive features including blogs, forums, and videos. Through the feature, members can exchange experiences and useful information and even hook up. Moreover, the websites chat room isn’t moderated, it allows for the exchange of explicit images. It allows you to filter your search on the basis of those affected with herpes 2 or cold sores. 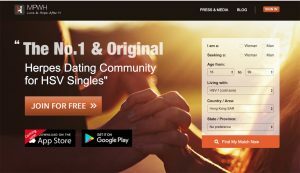 The dating site, however, needs some improvement in features like live customer support, mobile app, and limiting the advertisements on the site. It, therefore, favors to meet other herpes singles but not purposely for marriage. Passion is completely free to join, exchange message and chat. But enjoy exclusive rights as a gold member you have to pay $4.95. It’s a dating site that makes it easier for those with herpes infection to find love and appreciation. Such a moral support gives one hope and the power live happily with the infection. It boasts of around 2000 members. To become a member, you have to go through the simple and quick signup process. Upon the payment of $30, you have a lifetime access to the full sites features. Hwerks permeates registered users to run personal blogs within the site. Such blogs are useful in trading experiences, opinions, and comments. That helps to add the knowledge of the disease to the users. In addition, you can select who to comment on your posts, view your profile details, photos or videos. Thus you won’t have to worry about your pictures of genital herpes leaking to the wrong person. The active forums and chat rooms allow users to share herpes symptoms and triggers from experience. The video chats give you the convenient way of sending herpes pictures to your friend for a visual explanation. You can also stock up your galleries with the unlimited number of photos. Online interaction enables one to share skills and experiences on how to live with genital infections and cold sores. Don’t be lonely anymore. There is an online friend who cares about you despite your herpes status. Pick on one of the sites described above and find your date.